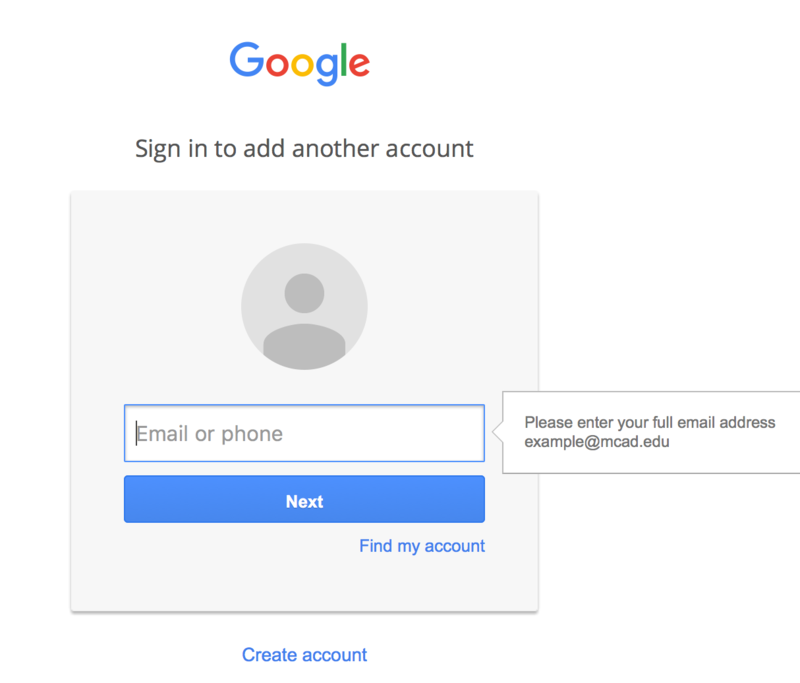 If you visit http://gmail.mcad.edu, you will be prompted for your MCAD username only (i.e. enter mjordan here and NOT mjordan@mcad.edu). MCAD Google Mail supports forwarding email to another address automatically. To do so, follow Gmail's article (here). MCAD Google Mail provides more than enough storage to save thousands of messages and attachments. Visit Gmail's article regarding storage space and how to effectively manage it: Here. How to I prevent Google Mail from grouping my email messages? Google Mail uses Conversation View to group messages into conversations or threads. While this is a handy feature in many ways, some people find it disruptive to their workflow. Because of this, Google has added the ability to disable Conversation View. See their article on Conversations to read how: Here. Q. I don’t want to keep having an email conversation: can I convert it to a chat to speed up the reply process? Yes, as long as everyone involved is online. Q. My students can see when I’m checking my email. Can I prevent chat from logging in automatically when I log into my account? You can set your status to invisible. This will prevent chat from logging in when you log into your account. Q. I set my status to invisible in chat and people can still see me. What am I doing wrong? Nothing, this is a problem Google is working to fix. Q. Can I make myself appear invisible to certain people and not others? No, you can either be invisible, away or active. Once your status is set to invisible nobody can see you online. Q. Can I remove chat from my google interface? What are the MCAD email server settings? The username for both incoming/IMAP and outgoing/SMTP will be your shortened email address (e.g. mjordan@mcad.edu).